Mold is continuing to be a major home health condition in the South and with our heat and humidity there are no signs of it going away in the near future. When the indoor air quality conditions are perfect (i.e. when the temperature, humidity and other factors are within range) mold and mildew can begin forming in various places around a property. 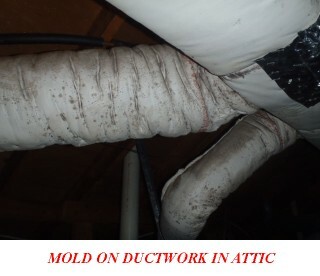 Quite often the location of mold and moisture are not visible to occupants of the property. These conditions usually occur and exist within a wall, behind cabinetry or in an attic or crawlspace. Not always the most visible and easy to discover places. While air quality factors contribute to an ideal environment for mold growth, moisture is the primary cause of mold growth. Moisture can come from numerous sources within a home and are often times hard to detect. Some common causes of water within a home's building material: plumbing leak, faucet leak, leak under the sink, roof leak, ceiling leak, window leak, weather stripping leak. Our methods will help locate the source of the moisture intrusion so a resolution can be sought out. A remediation protocol is included with our reports this is for the remediation contractor to follow. Note: The company that performs the remediation should NOT perform the evaluation and the company that performs the evaluation should NOT perform the remediation. A certified mold inspection with mold sampling by a professional provides a proper assessment of a property experiencing suspect mold/mildew growth and infestation. Certified mold inspections can prevent home health hazards from coming and protect future home buyers from years of potential headaches. 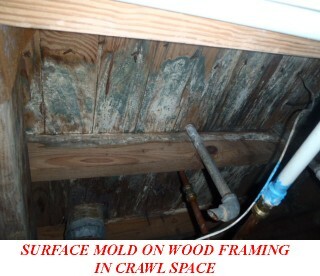 If you feel mold may be a problem arising in your home or in the one you are thinking of purchasing don't hesitate to get it tested for mold today.